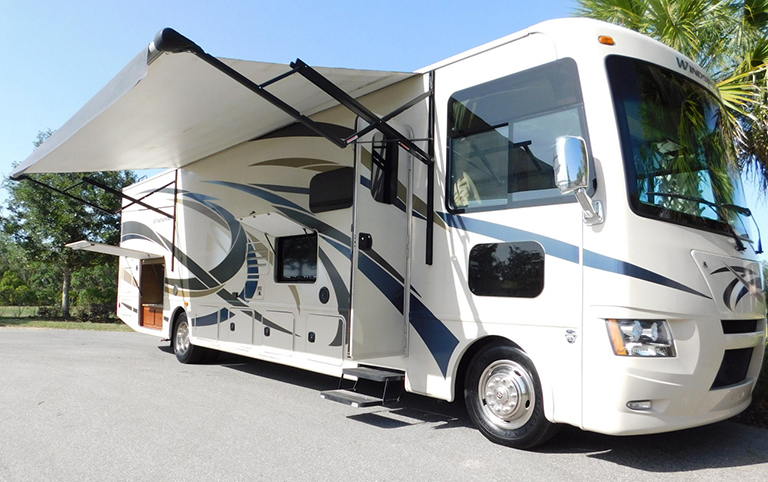 Kissimmee Orlando RV Rentals offers you this beautiful Class A Windsport motorhome for your Orlando RV vacation or take it on the road for the trip of a lifetime. 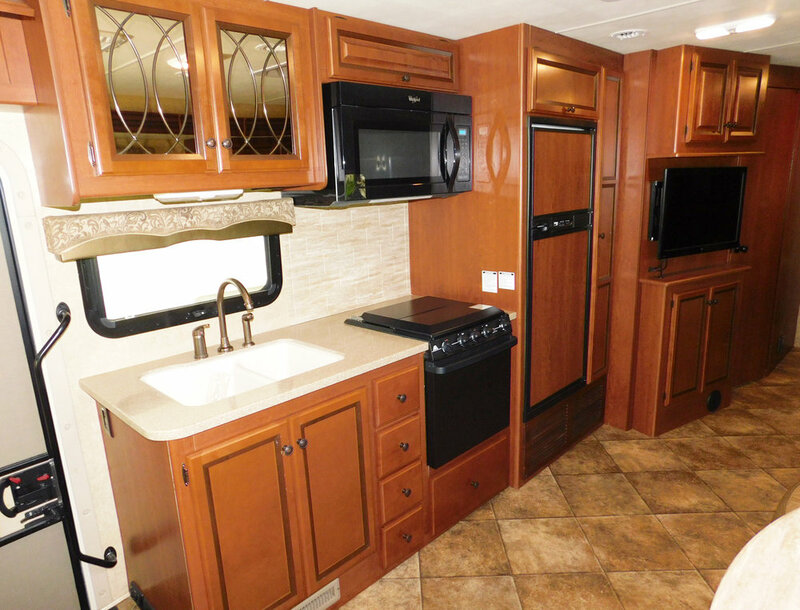 For luxury and comfort there is no better choice than the Class A RV motorhome. Relax and enjoy the comfort of our luxurious family-friendly Windsport Motorhome and leave the rest to us! 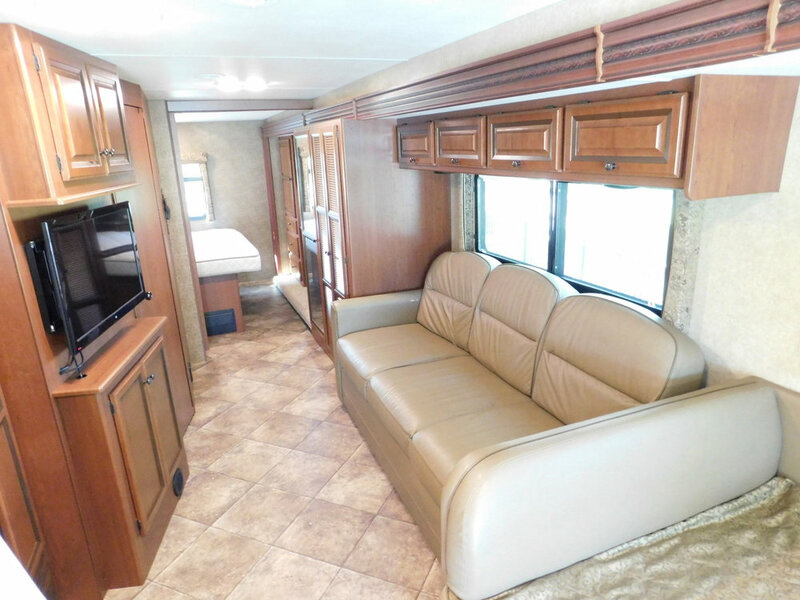 The Class A Motorhome offers the most luxury, space and comfort of all RVs. The panoramic visibility from the driver cabin is also unmatched. Our Class A Windsport sleeps 8 comfortably and offers all of the creature comforts you would expect from a luxury motorhome.Your fully-outfitted RV rental will include everything you'll need for a relaxing time like pillows and bedding for all sleep areas, towels, paper products, pots, pans, flatware set, cutlery set, coffee maker, toaster, blender, rice cooker/veggie steamer, broom with dust pan, cleaning supplies/garbage bags, plus much more. A full-length "superslide" offers incredible interior space while the well-appointed kitchen and living area create your "home" away from home feeling. 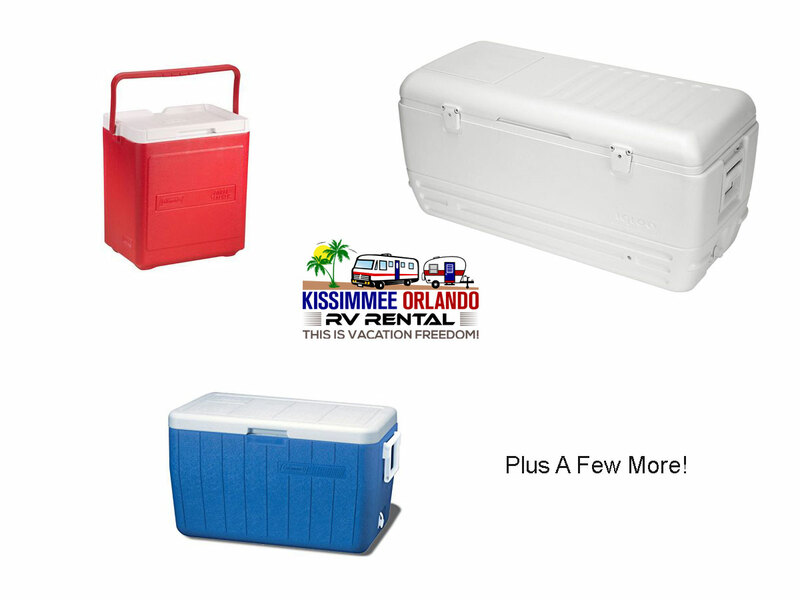 Only Kisimmee Orlando RV Rental offers an assortment of accessories to enhance your RV vacation experience and make life easy. These great add-on items are available for any of our RVs and you will be provided a complete accessory list with your reservation confirmation. Click on any item to view more information.